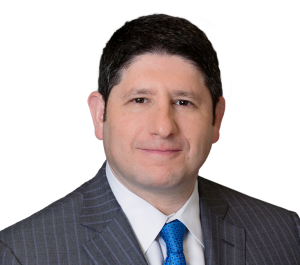 Philadelphia personal injury law firm Feldman Shepherd Wohlgelernter Tanner Weinstock Dodig LLP is proud to announce that Edward Goldis has been named a partner of the firm. Goldis, who joined Feldman Shepherd in 2005, focuses his practice in the fields of auto defects and crashworthiness, product liability, construction and workplace accidents and medical malpractice. Goldis has helped obtain multi-million dollar recoveries in cases throughout Pennsylvania, New Jersey and elsewhere, including a $26.1 million settlement, one of the largest personal injury settlements ever reported in Pennsylvania, for a family tragically injured by a reckless driver, and a $16 million verdict on behalf of a brain injured child. Prior to be named a Pennsylvania Super Lawyer in 2014, Goldis was recognized by Thomson Reuters as a Super Lawyer Rising Star for eight consecutive years (2005-2013). He is a member of the Philadelphia Trial Lawyers Association, the Pennsylvania Association for Justice, and has been selected as a member of the National Trial Lawyers Association, a professional organization of America’s top trial attorneys. After receiving his undergraduate degree from Syracuse University in 1998, Goldis earned his J.D. from the Villanova University School of Law in 2000; he was later admitted to practice in both the Pennsylvania and New Jersey. He previously worked as an associate at Marshall, Dennehey, Warner, Coleman, and Goggin, where he focused mainly on automotive, industrial, and consumer product defense.